We are going to make a rather bold statement: Collars are so easy to sew that even a first time stitcher will have success. That kind of statement is out of character for us, but it’s true. Let us show you . . . 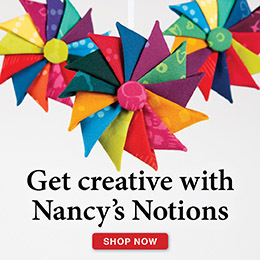 In the second episode of this Sewing With Nancy series and companion book, Nancy Zieman shared her favorite absolute easiest way to sew techniques. The collar being Nancy’s signature speedy sewing tip. Here goes! Interface the collars. Cut out two collar shapes from lightweight fusible interfacing and fuse one to the wrong side of each collar. One of our favorite fusible interfacings is Pellon’s Sof Shape. Meet collars right sides together. Stitch the outer collar seam. Grade the seam, trimming the under collar seam allowance narrower than the upper collar. Press the seam flat; then press toward the under collar. Understitch, stitching the seam allowance to the under collar. We like to use a multizigzag. Or, you could use a straight stitch. Fold the collar along the first stitching line, right sides together. Meet the collar front edges. Notice the outer collar seam allowance is already graded (trimmed) and completely understitched. 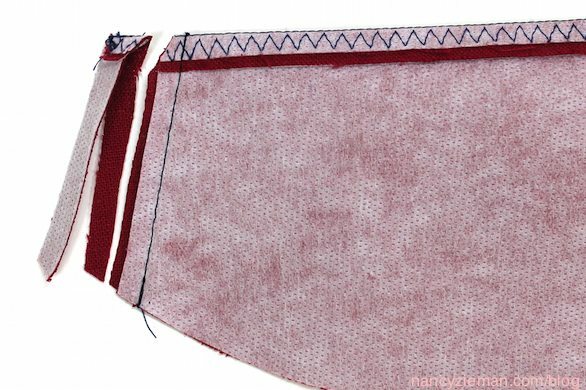 This wrapped-corner sewing technique is what makes it the absolute easiest way to sew collars! Stitch both collar front seams. Grade the seam allowances, and angle cut the corners. Turn the collar right side out and press. That’s it! 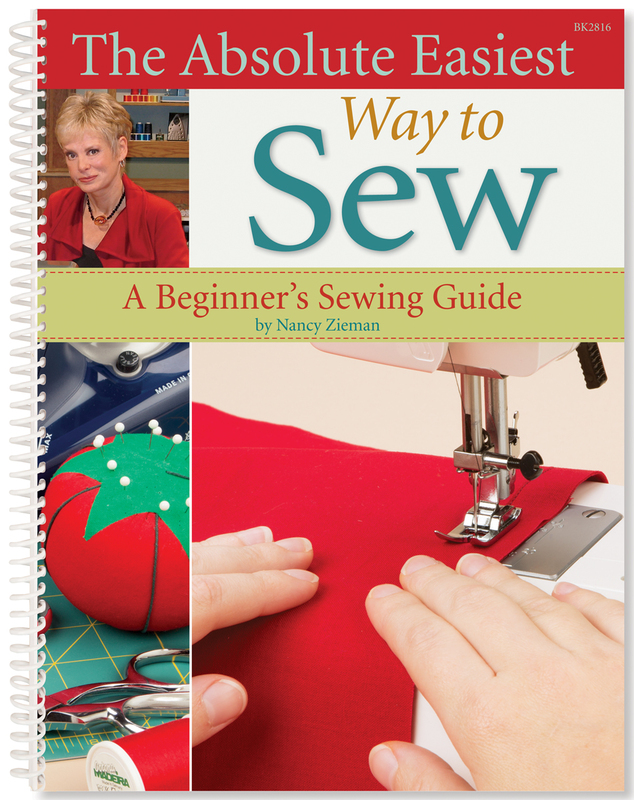 All of Nancy’s easiest sewing tips are in one book. My biggest challenge is finding time and space to do all the projects I have in my stash at this time and all of the ones I have in mind to do. Making or at least trying to make Buttonholes used to leave me in utter dispair until I lucked out acquireing a sewing machine with a buttonhole maker. Zppers were my downfall until I finally threw the installation instructions away and figured out a better way. Nancy’s instruction about replacing a zipper on a jacket? – pure genius! Even after decades of sewing, zippers remain my greatest challenge! I would love any and all tips or tricks to more easily facilitate putting them in and making them lay perfectly. Zippers! I’ve tried all kinds of “sure fire” methods and they never turn out nice and neat. Very frustrating. I keep hoping I’ll conquer them like I did the formerly dreaded button holes. I wish I had know the wrapped-corner techniques years ago when I was sewing many tops and jackets. Nancy’s techniques simplify processes and make garments especially lovely. I don’t enjoy sewing cuffs on shirt sleeves. Maybe it’s because you have to do it twice. One of my most common challenges is putting two button holes on the cuff of a sleeve. There always seems to be too much bulk. My biggest challenge is getting the tension right so the stitches don’t pucker. My biggest challenge is altering patterns to fit properly. love the method of folding on the stitched line and then sewing. It makes for very square corners that are easy to turn right wide out. I have trouble with hemmed jeans. The hemmed part likes to fold upward. My biggest challenge is sewing and fitting pants correctly. To set aside a block of time to complete a portion of the sewing project. Sewing with knits and selecting fabrics. My biggest challenge is getting everything together, getting started and then having to stop to make dinner. I wish I had a large block of uninterrupted time to sew. Turning perfect corners ~ usually one of a pair will be beautiful and the other will be ridiculously awful. I’ve been sewing for decades and this remains a dreaded task, lol. I would love to own this book as I’m teaching my granddaughter to sew. Buttonholes are something I hate doing. Sewing with knits and getting correct fit is big challenge. Today’s topic is my challenge! I have hated doing collars – especially getting them to meet properly in the front! Going to be printing these instructions and having them front and center on my next project! 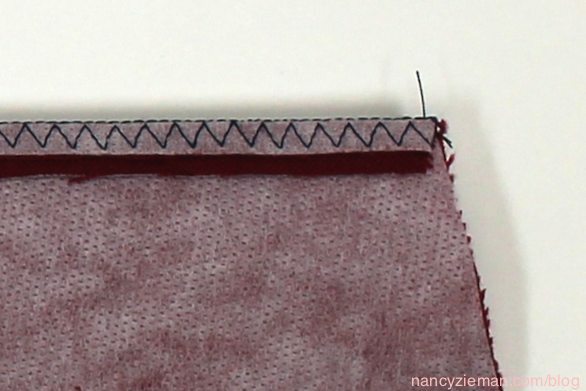 When I sew clothing, I still have to think long and hard to keep a consistent 5/8″ seam. 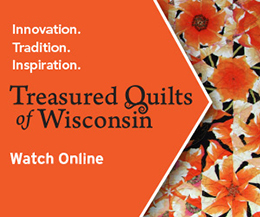 I think this is because now that I sew lots of 1/4″ seams for quilts with the edge of the foot for guidance, that watching the 5/8″ seam without it is harder. Zippers are my biggest challenge. I would have to say, the dreaded knits. I know I have been given tips, even by Nancy, but I still try to avoid it. My biggest sewing challenge is getting the seam straight for zipper placement. I sometimes run into bunching of fabric as I sewing for zipper insertion. Of course, having the timeto sew can be a big challenge! My biggest challenge is sewing packets on blouses and shirts. They never come out quite right. My most common challenge is getting the cuffs correct on long-sleeved shirts. Twice I’ve mistakenly put the cuffs on each sleeve backward on a shirt/blouse so that they couldn’t be buttoned easily. It is very difficult before the cuffs are sewn on to know which way the cuff will be oriented once it is sewn to the sleeve. Getting started is my biggest challenge. It depends on if I can read the pattern without having a video to see how something is done. My sewing challenge is finding enough time to do all the projects that I want to do. Although I’ve been sewing for longer than I care to admit, buttonholes are still something that I find challenging even with built in buttonhole stitches on my machine. Getting them all lined up can be frustrating. I received a blouse for Christmas and the first time I washed it the collar looked very strange. Examining it with a sewer’s eye I discovered that the interfacing wasn’t connected to the collar in several areas. I took it apart, put in interfacing, did the under-stitching and now it looks great. Getting the pattern prepared and cut out. My most common sewing challenge is understanding the pattern. Zippers and binding baby quilts are 2 of my most difficult sewing challenges.